Thanks to GoTrax for providing this hover board. Santa just might bring you some new wheels. A hoverboard is at the top of many Christmas lists. I cannot think of a better gift to open on Christmas morning. My son would love the glider cadet for kids. It's pretty awesome looking! I like the scooters, but a hoverboard would make a GREAT gift for my nephew! The Commuter Scooter is awesome! It looks like it would be fun to ride. I'd give it to my son, Riley. If I were able to get anything, I would get the Commuter Electric scooter for my daughter. She has to ride public transportation to school and this would be amazing for her. I really like gotrax’s hoverfly ion self balancing hover board in the color pink! I’d love to get one of these for my daughter, she has been asking for one but she’s not coordinated so the self balancing would be great for her. I love that it can go 4hours on one charge, and it’s great for beginners. I love the commuter scooter, I work 5 minutes from my home so this would be perfect to save gas on nice days. I would love to win the hoover board for my kids. This is my favorite product that ion offers. Thanks for this great opportunity. My daughters would love the Commuter Scooter. I would have to get two of them because they would fight over it otherwise. And I can't leave my son out...he would love the Glider Cadet Electric Scooter For Kids. I like the Off Road Hoverboard because we live in the country!!!! I would gift this to my oldest grandson.... after we played with it!!!! I love the commuter scooter! It would be perfect for my daughters to hop on and go to the corner store to get their candy fix!!! The electric scooter is what my sons been begging for all summer! He would LOVE this hoverboard as well! The HOVERFLY ION SELF BALANCING HOVERBOARD is my favorite. I'd gift it to my daughter. i LIKE THE HOVERFLY ION SELF BALANCING HOVERBOARD. I would give it to my daughter. Past the hoverboard, my favorite product would be the helmet. Because you know, safety. I would like to have the GXL Commuter Scooter - very nice! If I'm the winner, I would probably gift this to my son or maybe keep it for myself. I really like the GXL Commuter Scooter the most. I would use this! the electric commuter scooter is as cool as this hoverboard is! I also like the GXL Commuter Scooter - Version 2. My daughter would love it. I like the GXL Commuter Scooter for myself. I'd like to give the G2 Electric Kick Scooter to my son. I like the GXL Commuter Scooter and I'd keep it for me. I always wanted to ride on one and think it would be cool to have the electric scooter as well. I like the GXL Commuter Scooter - Version 2 and I'd use it sometimes and share it with my boyfriend. GXL Commuter Scooter - Version 2 I would keep it and use it to get around my town easier. I really like the GXL Commuter Scooter - Version 2. Oh I really love the HOVERFLY XL OFF ROAD HOVERBOARD. I would love to give this to my grandson if I won. Oh he would love this. I would say the ION Hooverboard because even though my niece is only 8, the first time she tried one she looked like a pro! The electric scooter looks fun. My daughter outgrew her razor scooter so I'd gift her the GXL Commuter Scooter - Version 2. These are so cool! I hope I can win one for my nephew! I like the GXL Commuter Scooter and I would gift it to my nephew. I love the hover board XL off-road. I’d gift it to my husband. He’s wanted one for a while we just keep procrastinating. 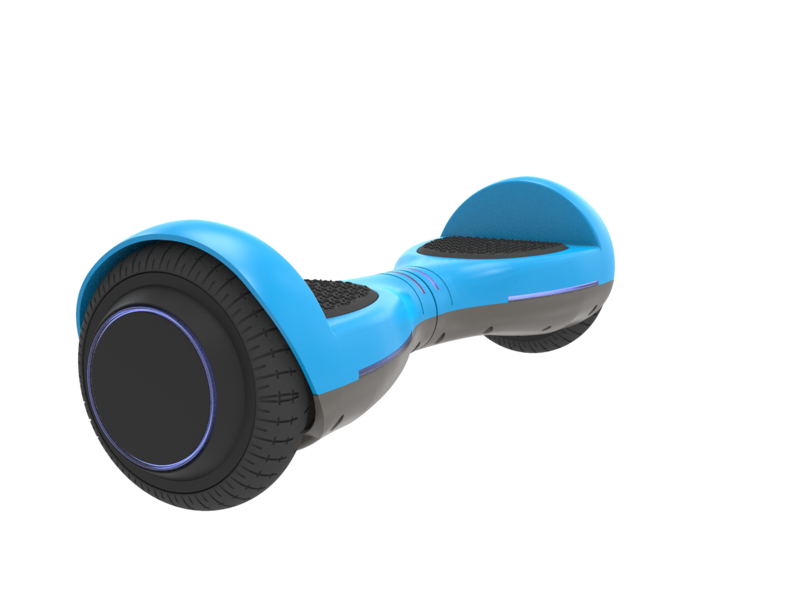 I love the HOVERFLY ION SELF BALANCING HOVERBOARD, I would give it to my daughter who has been wanting one! I would definitely get a Hoverboard for my daughter. She has wanted one since they became available. The price is not as expensive as I thought it would be. Thanks for all the info about the product in your blog post. I had no idea that they had so many different products/choices? That surprised me that and how many colors! My son would love this so much you have no idea. I would choose GXL COMMUTER SCOOTER - VERSION 2 for my nephew to help him on his paper route.